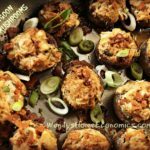 Home » Cooking ~ Recipes » appetizers, Asian, Christmas, crab, party foods, published, Toaster Oven, wendy's signature recipes	» A fun way to enjoy an old favorite… Crab Rangoon Stuffed Mushrooms! 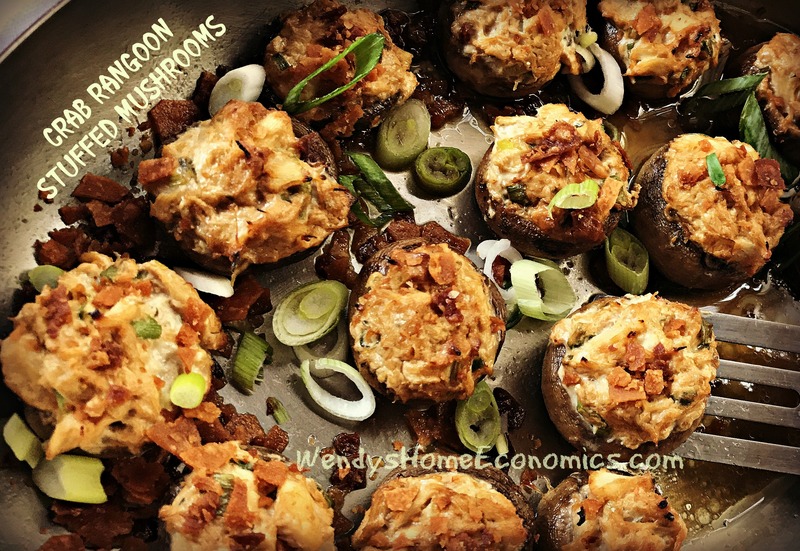 A fun way to enjoy an old favorite… Crab Rangoon Stuffed Mushrooms! I’m always looking for a way to put a new twist on old favorites, and this is one of those twists I concocted. 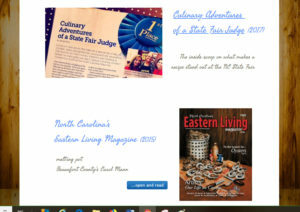 I do love some good crab rangoon, and when I was creating recipes for the holiday issue of Carolina Country magazine last year, wanted to do that, but not the “same old same old” rangoon. 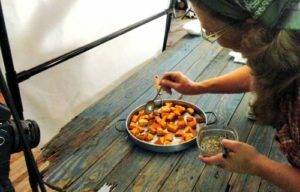 As a caterer back in the day for decades, stuffed mushrooms were usually on the menu. They just seem to be loved by all, for the most part, and can be stuffed with so many things! It’s hard to go wrong when you join together crab, cheese and CRISPY CRUNCHY…. so I said to myself, “self, let’s figure out how to do this in a mushroom stuffing!” So I did just that. The creamy cheesy crab nestled in the mushroom caps are so delish, but finishing off with the crunchy on top gives them that little “umph!” to make the rangoon complete. If you too, are a crab rangoon fan, do give these a try! 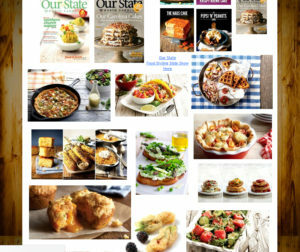 They are so easy to make you might find yourself making just for supper throughout the year. In the time it takes to heat up your oven (or toaster oven), you can have the filling made and ‘shrooms stuffed and ready to pop in there. So go ahead and just do it! And hop over to my facebook community to let us know what you think. Fry, drain and sprinkle with cinnamon sugar while warm. Substitute for lasagna noodles or ravioli. Put into muffin tins, fill with dessert or quiche mixture and bake. If you love Crab Rangoon and mushrooms, you’ll surely enjoy this twist for a holiday appetizer … and your guests will too! Toss mushroom caps with oil to lightly moisten. Sprinkle with salt. Combine cream cheese, crab, half the scallions, sauces and garlic powder. Spoon into mushroom caps. Place onto baking pan and bake 15–18 minutes. While mushrooms are cooking, quickly fry wonton skins in hot oil, about 2 minutes. Drain and crumble. Remove mushrooms from oven, scatter with wonton crumbs and remaining scallion. Serve immediately. Ribs... for the winter that won't quit! 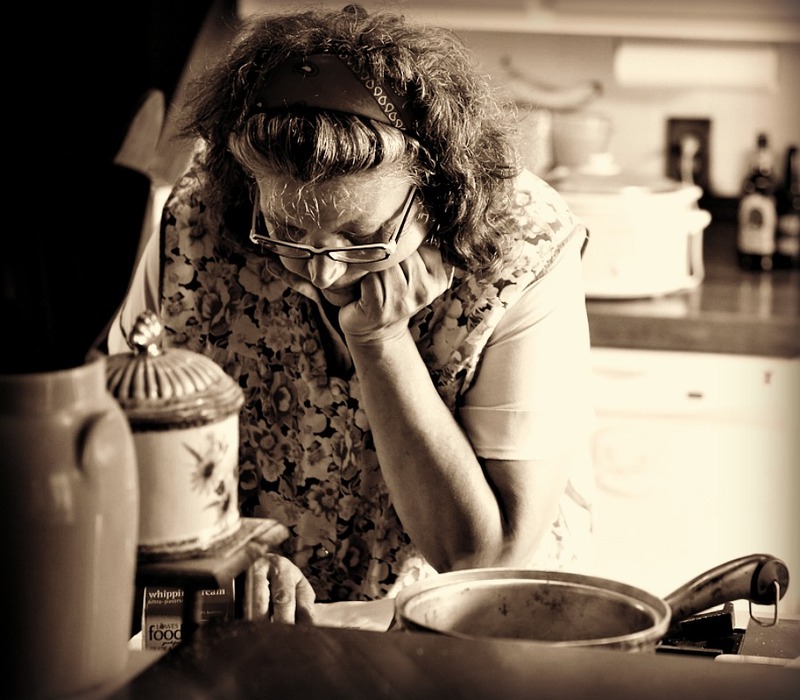 « Who needs pie when you can have Apple Cheddar Biscuit Cobbler instead!